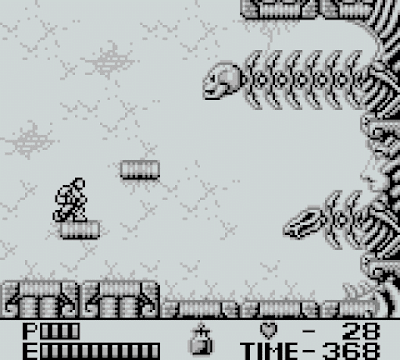 The Castlevania games appearing on the original Game Boy have a reputation of not being of the highest quality. Even back in the day my friends and myself, along with I assume many others, knew that the original game didn't quite capture the spirit of the NES games. The second game, Castlevania II: Belmont's Revenge, however, was a far superior game. So today we're going to talk about it! 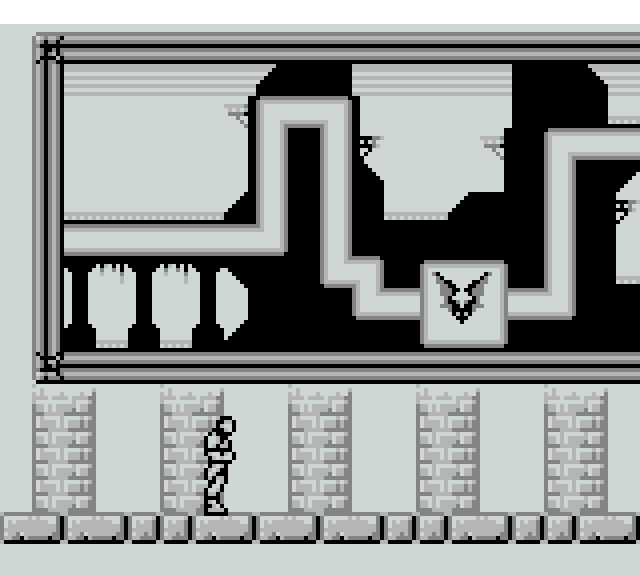 Truth be told, I think I played Castlevania II: Simon's Quest for the NES before I played the original game. 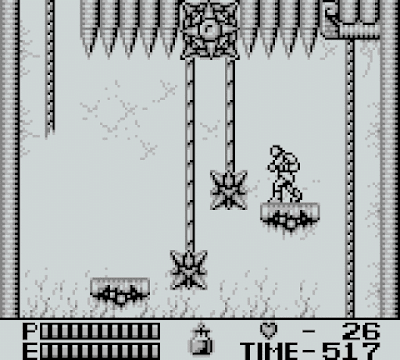 It was one of the first games I ever owned for the system. I have always been a fan of the series since I first experienced it way back in the late eighties. 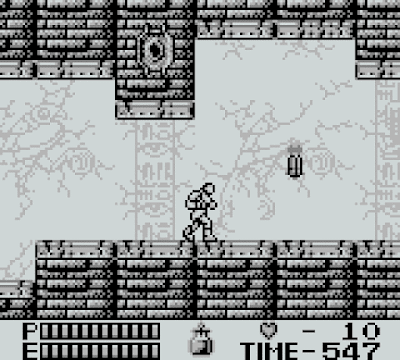 When the Game Boy got its own Castlevania game, The Castlevania Adventure, I was excited. It was something that I had to have. Back then, I didn't really care that it played pretty slow compared to the NES games, didn't feature recognizable enemies from the series, or even feature Simon Belmont as the lead. I knew it wasn't as good as the other two, but I still managed to enjoy it despite its shortcomings. It was a handheld Castlevania experience, and it was definitely different. 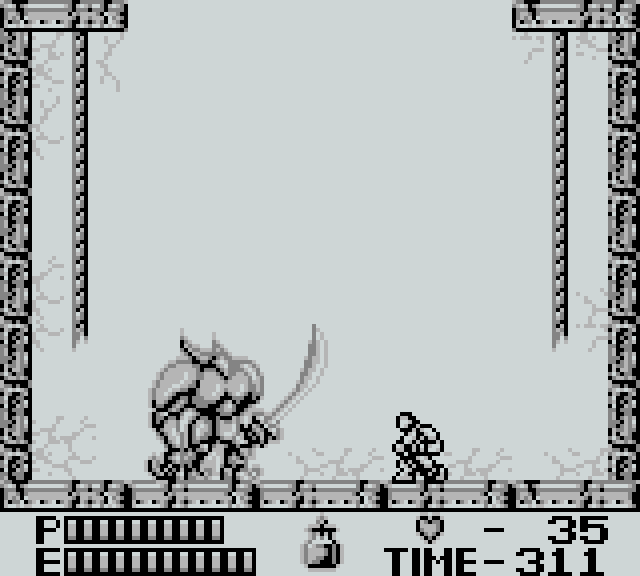 It was also extremely difficult to play due to the tiny blurry screen, the unforgiving play control, and, of course, the fact that you lose your whip upgrade when you get hit. I believe I've mentioned before that when I was a kid I would spend the summer with my grandparents, and when summer would end and I would have to return to school, my grandma would buy me a game. 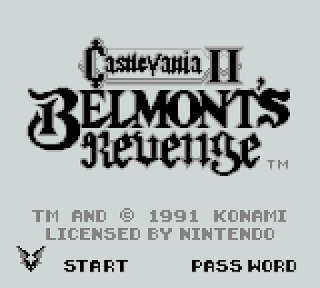 Castlevania II: Belmont's Revenge was one of the first games I got that started this tradition. I remember sitting on my bed under the window playing it and missing my grandparents. If I think about it a bit, this was probably summer of 1992. In any case, I loved this game. It addressed many of the issues I had with the first one and was overall a much more enjoyable experience. I was never able to beat it on the actual Game Boy, though. Never could defeat Dracula. 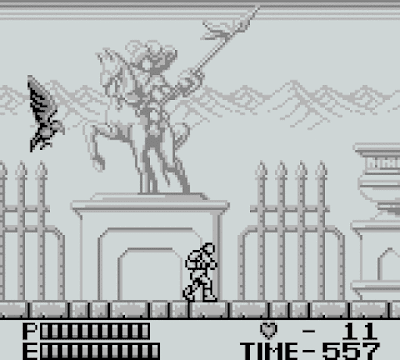 Castlevania II: Belmont's Revenge is a pretty decent side-scrolling game with some tricky platforming thrown in. 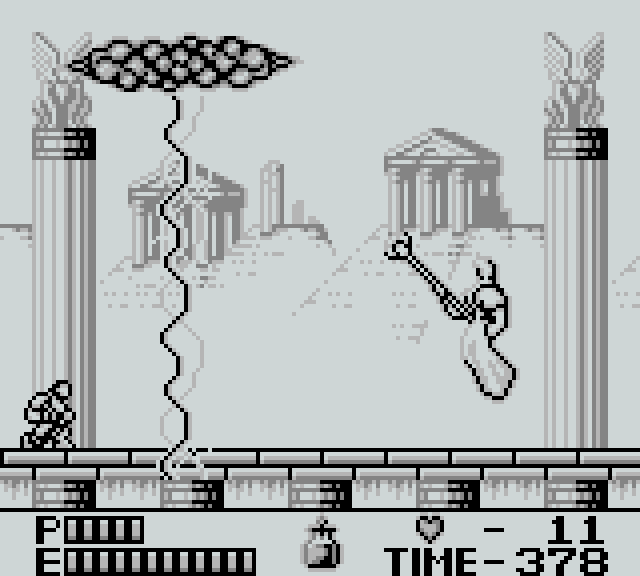 It is the sequel to the 1989 Game Boy game The Castlevania Adventure. 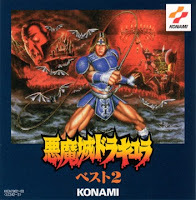 Both games star the Belmont named Christopher, a then unknown and pretty much still unknown Belmont character who is an ancestor of Simon, well-known protagonist from the first two Castlevania games among several others. 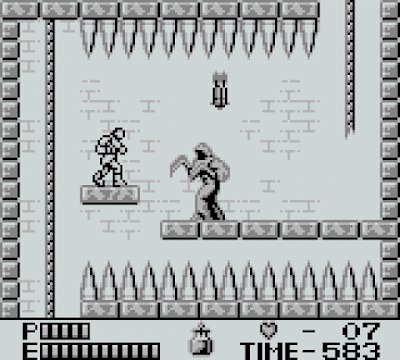 In Belmont's Revenge, you are seeking out your son Soleiyu (or Soleil, depending on the game) who has been more or less mind controlled by Dracula to do evil deeds. 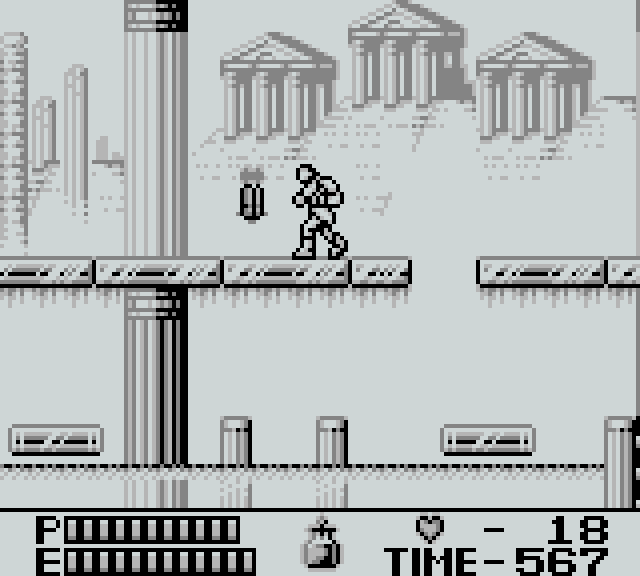 The game allows you to take on its four levels in any order you like, similar to the Mega Man games. However, unlike those, there is no advantage to doing them in any particular order. They are all themed differently but all play pretty much the same. Naturally, at the end of each of these levels, you will encounter a boss you must defeat. There isn't a ton of variety in how each level plays, but they do each have a unique look to them. The Crystal Castle features flowing water that can suddenly change direction. 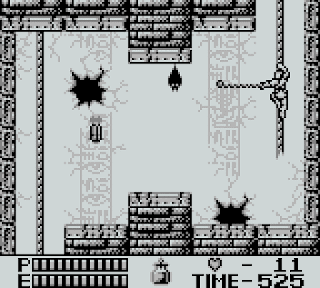 Several platforms in this castle will crumble beneath your feet as you stand on them. An elemental mage called Dark Side waits for you at the end of the level. Cloud Castle takes place mostly inside the castle, oddly enough. Very few areas of this stage show the clouds drifting by. Instead, you must dodge many spikes and other traps on your way to the boss, an H.R. Giger inspired skeletal creature called the Angel Mummy. Plant Castle is an area overrun with foliage. 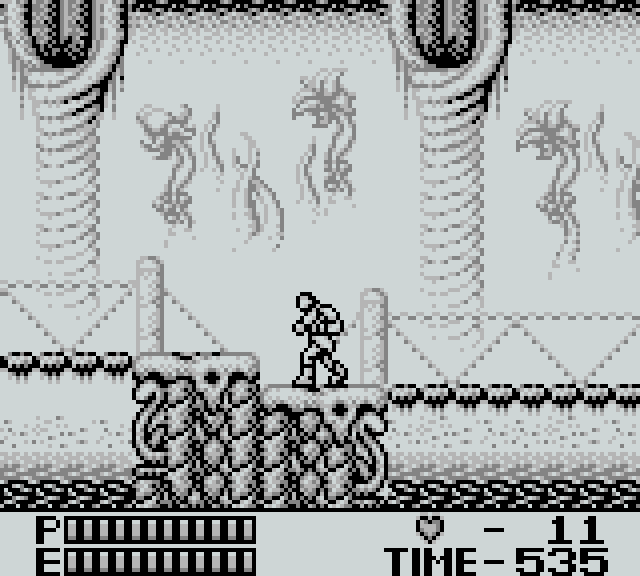 It is a pretty interesting area, and it is packed with danger such as the exploding rolling eyes which can destroy bridges you might be walking across. 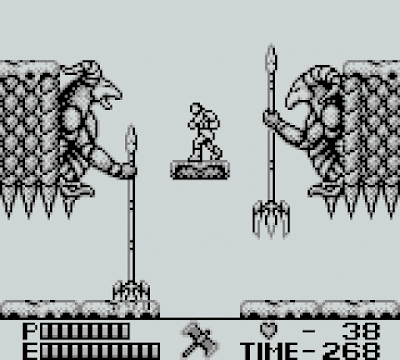 The boss of this level is a set of twin spear wielding statues named Kumulo and Nimbler. 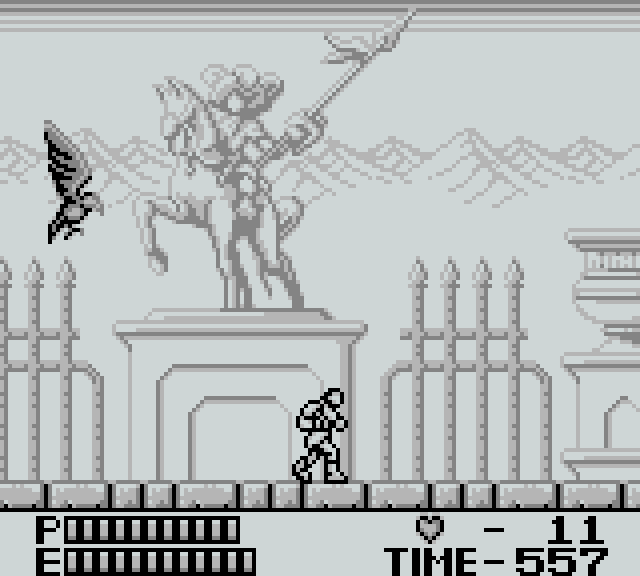 Rock Castle is home to a familiar enemy if you played The Castlevania Adventure. 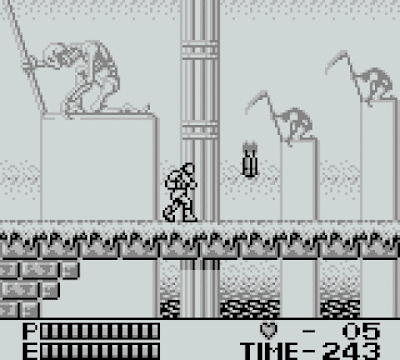 This stage, like all the others, is very dangerous and can easily overwhelm you with bats and projectile shooting enemies. The boss is the super creepy armored Iron Doll. Be careful of his second form, as it's quite agile! As with... I'll just say it... every Castlevania game, the music is top notch. 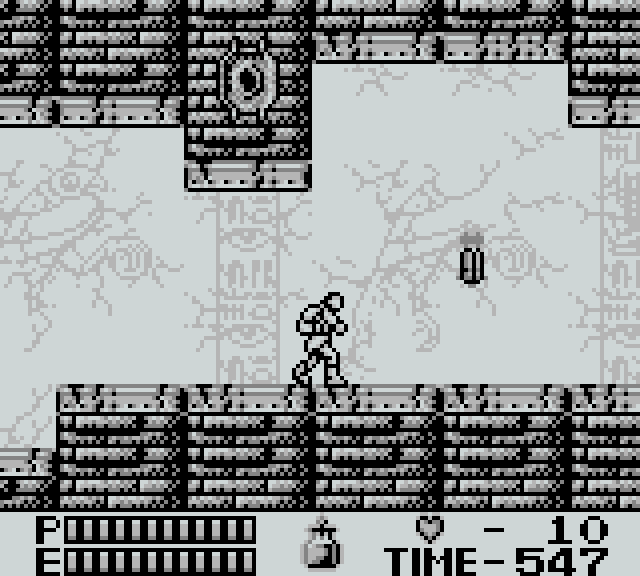 The music in this game in particular, being piped through the already incredible Game Boy sound chip, is dazzling. Tracks from this game made their way onto disc 2 of the Akumajō Dracula Best 2 compilation along with tracks from The Castlevania Adventure. If you can find a way to get this CD, I highly recommend you do. Other than that, you can download the soundtrack in .GBS format from Zophar's Domain. This is probably the easiest way to get the tracks other than just listening to them on YouTube. You'll need a player to listen to the file (all the songs are bundled in one file) but it's not a complicated process to listen to them. This is a moderately expensive title for the Game Boy, but it's not overly expensive. Expect to pay over $20 for it, though. It has never been released on the Virtual Console service on the 3DS. It was, however, re-released in Japan on Konami GB Collection Vol. 3 and in Europe on Konami GB Collection Vol. 4. The Vol. 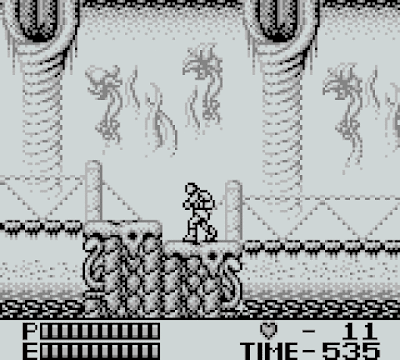 4 version was updated to take advantage of the Game Boy Color, so that's interesting! Wish we could have got that one in America! 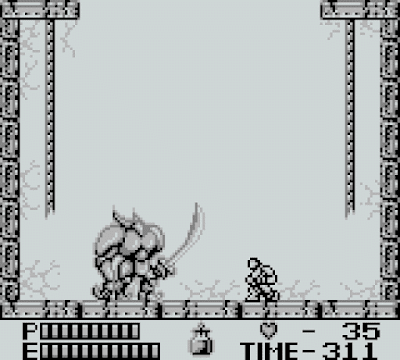 Castlevania II: Belmont's Revenge is easily the best Castlevania game on the original Game Boy. Its competition doesn't hold a candle (add Castlevania candle joke here) to it in any way. I highly recommend this game if you're a Castlevania fan or otherwise, because it has things to offer both parties. If you're a Castlevania fan, just go into it with an open mind. It's a bit sluggish to play, but it's worth it.